Last Days in Park City | Follow the Tumble Lees! This blog has something for everyone! We’ve never been to the beautiful state of Utah. What a great post to give us a taste, and as usual, beautiful photos! Friends Steve and Joan (FOSJ) have been spending the last few months working with a company that surveys roads for the Bureau of Land Management. They are currently in Nephi, UT, about 75 miles to the south of Park City. 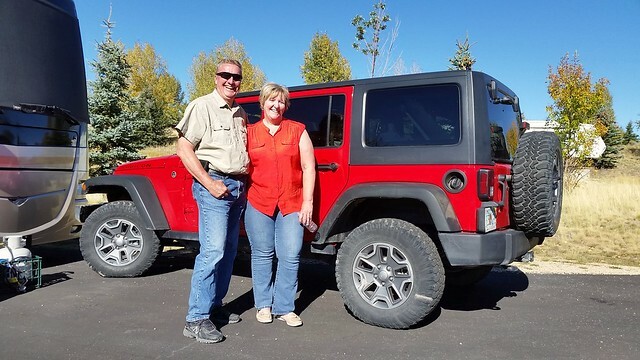 We emailed back and forth about getting together and, since they have never been to Park City, they volunteered to drive up for the day. Once they arrived we drove to the north of Park City to visit the Utah Olympic Park. 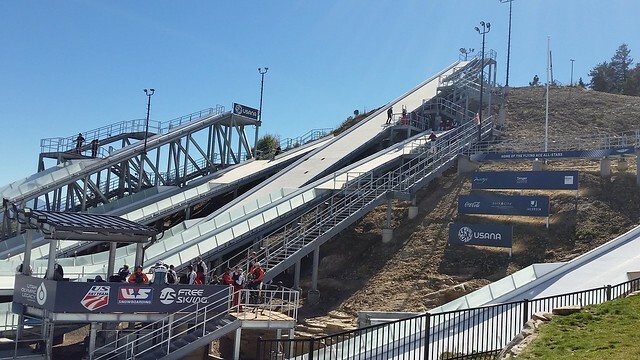 During the 2002 games the park hosted the bobsled, skeleton, luge, ski jumping, and Nordic combined events. Today it serves as a training center for Olympic and development level athletes. We visited the park about ten years ago and enjoyed watching summer aerial training. Fortunately there were skiers training again, so we were able to watch more jumpers. The Creative Blogger Award! | blabberwockying! Glad you found another team! I am following their blog now. That’s the idea! I’m now thinking about adding guest post feature rather than just reblog….I have to figure out how to do it. I enjoyed your blog on Arpita’s blog. She asked me to do a guest blog after she saw my Minimalist and marriage blogs. So once I do it, I’ll create the feature. Going to add to the Travel Blog since we’ll be basically off the road until January…. Oh, thanks for telling so many beautiful things in your response. Isn’t winter harsh and adverse to travelling in your part of the globe? A little! I’ll write a blog about it! The Respect Award! | blabberwockying! This is such an HONOR! I’m writing a post to accept it!